May 25 protest in Bari on the mandated use of pesticides to combat Xylella fastidiosa. Photo: Frans van Munster. To combat the spread of the olive-killing Xylella fastidiosa bacterium, Italian agricultural officials are telling farmers to use pesticides to kill the disease's vectors, three spittlebugs, but this mandate has sparked protests and outrage. determine the claims for your products – grown, produced, made or packed in Australia or overseas? The ACCC will conduct market surveillance checks to identify businesses not complying with the food labelling laws. More information here. The International Convention Centre Sydney has worked with Alto Olives on an exclusive olive oil blend. Photo: Supplied. Matt Moran called on chefs and the rest of Australia to do more to help the farmers who work tirelessly to feed the nation. He made the point that our support for these men and women is among the lowest in the world. Great comment on the wide-ranging benefits of plant-to-plate relationships between local growers and food service by executive chef of the International Convention Centre (ICC) Sydney, Tony Panetta. Terry Durack: will butter once again replace extra virgin olive oils? Back in the Extra Virgin Era, late last century, butter was known in certain circles as yellow grease. Banned from membership in the Mediterranean Diet club, it gradually dropped off the high tables of the land, reduced to skulking in our fridge doors at home. In its place were dinky little saucers of swampy green or sunny gold olive oil, and the knowledge that we were going to live forever. Not a concept we want to contemplate – but the final line is a good one! Olive team: Allen Baird, Lesley Cole, Barbara Baird, Carol Wallace with Murray, Rosemary and Fiona Baird, Warwick Evans, Jonathan and Kate Rodwell. Picture: supplied. 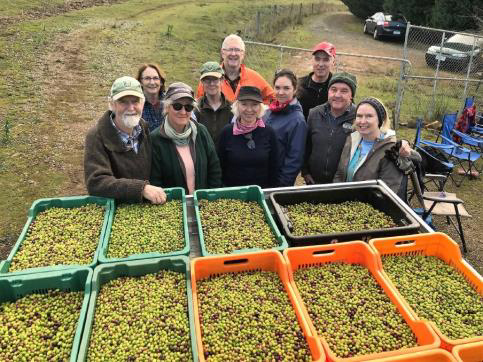 While the vestiges of summer are long gone for most, Tasmania’s olive growers are reaping its benefits. Olives are slow ripening but are typically harvested over June and July. 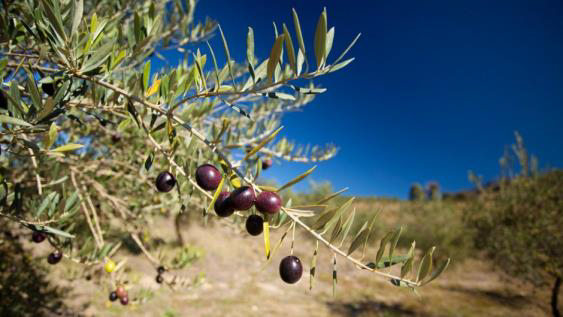 This year, Village Olive Grove at Grindelwald have experienced a bumper crop after harvesting. 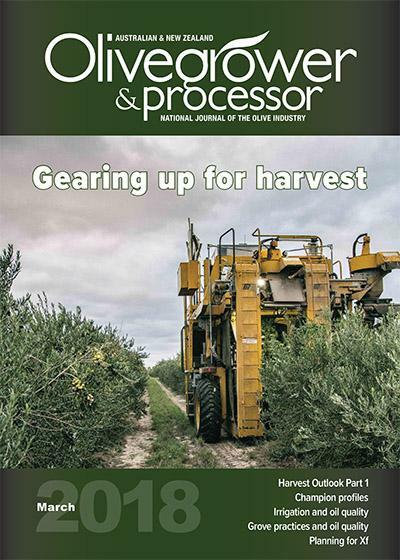 Are you an Australian Olive Association member? Thank you! We appreciate your ongoing support and look forward to hearing from you in 2018/19. Please look out for your membership invoices which will be emailed over the next couple of weeks. Please check your SPAM folders and whitelist secretariat@australianolives.com.au to ensure you receive your invoice. ✓Advocacy and Representation - your voice to Government; ✓Australian Standard for Olive oil and olive pomace oil AS 5264-2011; ✓Code of Practice OliveCare; ✓Consumer Awareness & Education Campaigns – Everyday, Fresher Tastes Better! ; ✓Biosecurity management; ✓Australian International Olive Awards; ✓AOA National Industry Conference & Exhibition; ✓Point of sale marketing merchandise; ✓PHA Biosecurity Levy; ✓Market surveillance and reporting; ✓Grower field days & seminars; ✓Industry communications – Olivegrower & Processor, Friday Olive Extracts, Olivebiz; ✓ AOA Facebook page; ✓Tastebook program; ✓Registered pesticide minor use permits holder for industry; ✓Voice of Horticulture Membership; ✓NFF Horticulture Council Membership; ✓Industry Risk and Crisis Management. Being a member also entitles you to many invaluable benefits which can provide you with major competitive advantages – e.g. the opportunity to obtain certification through the OliveCare program, and discounted subscriptions and tickets to the annual premier olive industry events, the National Industry Conference & Exhibition and Australian International Olive Awards – knowledge and awards can set your business apart! Not a member? Help us help you. New members receive a FREE copy of The Olive Growing Book , valued at $165. Click here for more details on the benefits of becoming a member today. Applications open soon for the SA 2018 Regional Growth Fund, focussing on collaborative industry projects creating economic activity and benefiting regional industries. Projects will be selected based on a number of principles, with funding from $50,000-$2M on a matched dollar-for-dollar basis. The 2018-19 competitive funding round will open 2 July and close 31 August 2018. More information here. In response to new ABN figures showing men outnumber women more than two to one in Australia’s agriculture industry, Hort Innovation and Women & Leadership Australia (WLA) are calling for expressions of interest for dedicated course scholarship opportunities. Applications are now open for 20 scholarship course positions for women with varying leadership experience - 10 for emerging leaders, five for mid-level management and five for senior/executive level – providing access to development programs to expand professional networks, boost theoretical education and enhance practical leadership skills. More information and apply here. Are you successfully selling your agricultural products and services overseas? 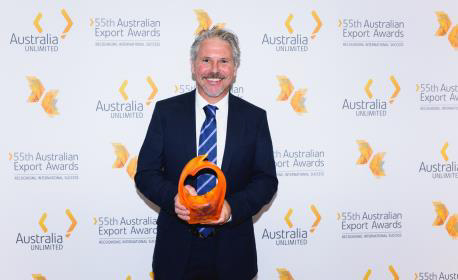 Austrade invites you to enter the 2018 Australian Export Awards for Agribusiness, honouring businesses for their international success across agricultural products, services and technologies. Finalists gain international recognition, media coverage and the opportunity to meet high‑level government and industry leaders. More information and applications here. Olives SA is seeking expressions of interest from members for its stand in the Taste SA marquee at the 2018 Royal Adelaide Show. Member participants must be accredited Code of Practice signatories, and will be allocated to designated days on the show roster from 31 August to 9 September. The cost is $210.00/day. Please forward your interest or queries to Steve Pantelos via steve@oliveco.com.au or 0414 315 137 by Monday, 31 July. The first of the Integrated Pest and Disease Management (IPDM) field days to be held in NSW, VIC, SA, WA, TAS and WA will be held on Saturday, 21 July at Rylstone Olive Press, Rylstone NSW. Click here to see the program and register - numbers are limited to 40 per event, so reserve your place now. Bookings close mid-July. Click here for details on all other workshops to be held over the next six months. The field days are being organized by the AOA in conjunction with Western Sydney University to explore appropriate IPDM extension services focused particularly on black scale, olive lace bug and anthracnose. The program is part of the project An integrated pest and disease management extension program for the olive industry (OL17001), funded by Hort Innovation, using the Hort Innovation olive industry research and development levy, and contributions from the Australian Government. 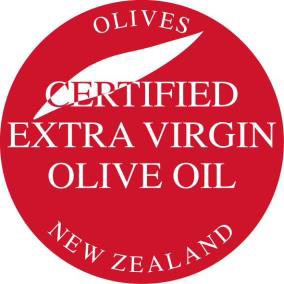 Certification 2018 is underway and growers are encouraged to submit their samples to Olives NZ promptly so that they can use the OliveMark as soon as possible. More information here. National Programme Three for growers who sell more than 3,000 litres per annum, export, infuse on site, make table olives, etc. Same template is for processors. More information or template orders to admin@olivesnz.org.nz. 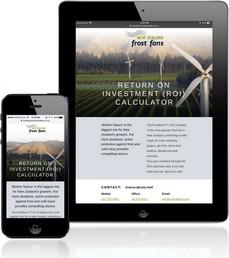 New Zealand Frost Fans and its sister company, Australian Frost Fans, have launched an online ROI calculator tool. The calculator allows growers to input the crop type, average annual crop yield (when not affected by frost damage), estimated average annual reduction in yield due to frost/cold injury and the crop value ($ per tonne). A new breakthrough methodology that assesses extra virgin olive oil's authenticity is gaining momentum in the field of nutrition and food science. 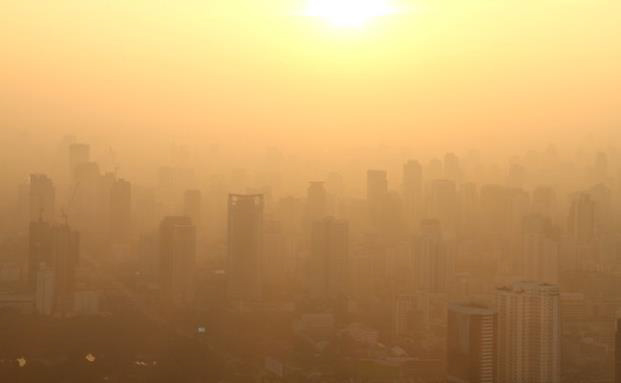 The diet that has been hailed for its ability to reduce the risk of heart disease, cancer, diabetes and premature death, now has a new offering: the ability to protect against air pollution. The Mediterranean diet, hailed as a powerhouse when it comes to disease prevention, consists of plentiful amounts of fruits and vegetables, along with grains, legumes, olives and olive oil, and limited amounts of fish and meat. Are clean labels, minimal processing, and cultural traditions more important than nutrition in the oils and fats aisle for consumers? And do consumers trust the health ‘experts’? Checkout our gallery of highlights from our June 20 webinar, Chewing the fat: Navigating the healthy fats minefield, which is now available on demand. An olive tree affected by Xylella fastidiosa, with visual symptoms of chlorosis and defoliation. Credit: Juan A. Navas-Cortes. Want to know more about the technology? 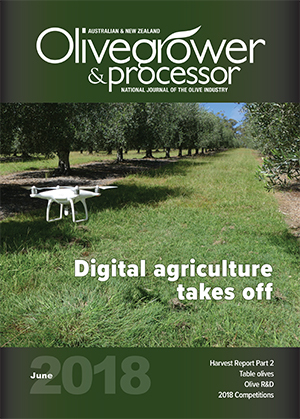 Don’t miss the CSIRO’s feature article on digital agriculture in the June edition of Olivegrower & Processor, arriving in letterboxes now. Not a subscriber? Sign up now and we’ll post you a copy stat! How can olive oil benefit my pet? Olive oil doesn’t only benefits humans, it can help your cat or dog stay healthy, too. 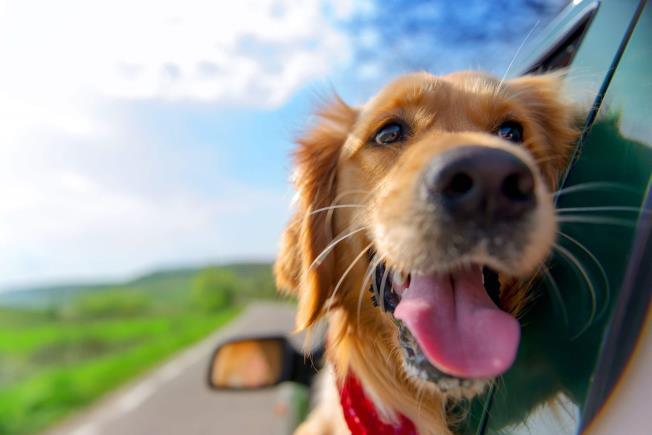 From healthy coats to hairball management and more, it can be a superfood for our furry friends. The editor and her ‘senior’ dog can vouch for it!